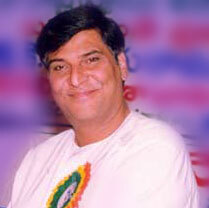 Dr. Sri K.V.Ramanachari, IAS is an admirer of arts and a great supporter of Telugu Drama. The credit of introducing this troupe to Hyderabad goes to Dr.K.V.Ramanachary. Till 1991, this troupe's performances were limited to remote areas of Andhra Pradesh. When Sri K.V.Ramanachari became a director-Department of Culture (A.P) in 1991, Dr. Sri Ramanachari took a keen interest to bring this troupe to cities, especially to Hyderabad, where there was and is unlimited scope to get the attention of the good audience. This migration gave the troupe new hopes to continue the journey. Dr. K.V.Ramanachary is always a guiding power of this troupe. 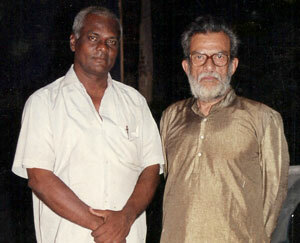 Sri Garimella Rama Murthi is an artist, director and a great contemporary criticizer. Sri Garimella Rama Murthi vindicated the glow of the troupe for more than forty years. He was the advising brain who helped the troupe to visit other states. Sri Rekandar Nageswara Rao(Babji) who is current director of this troupe is a strict follower of Sri Garimella Rama Murthi. Not only Surabhi owes to him, there would be no Telugu drama troupe in Hyderabad and around in Andhra Pradesh to his contemporary which did not avail the help of Sri Rama Murthi. 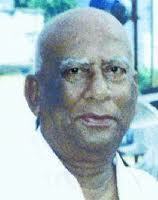 Padmasri B.V.Karanthji (alias Bavaji) was a great director of the age. Sri B.V.Karanthji is the one who uplifted the spirits of Surabhi when it was almost in its state of decay. If we can classify the development of Surabhi Drama, It can be classified as The Surabhi Before meeting with Karanthji and The Surabhi after meeting with Karanthji. Before Surabhi met Karanthji, Surabhi used to play in the classical, old tradition and limited the performances to the villages. When Padmasri Dr. B.V. Karanthji trained Sri Venkateswara Natyamandali (Surabhi) for three dramas, he modified many things in the performance. With these effective changes, Surabhi could spread its splendorous performances from village to international level. Sri Venkateswara Natya Mandali (Surabhi) went through three workshops from Karanth respectively ‘Bhisma’ in 1996, ‘Chandi Priya’ in 1997 and ‘Basti Devatha Yadamma’ in 1998. Forever, Surabhi owes Karanthji an attitude of gratitude.